10 Ways to Make Your Wedding Day Extra F-U-N! - An Inspired Affair, LLC. 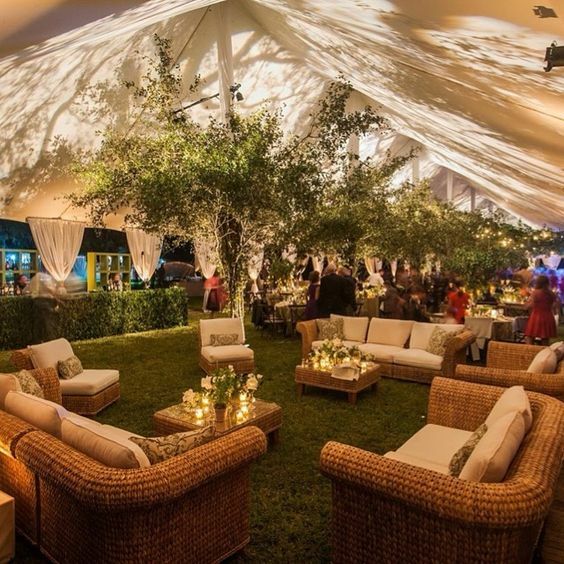 10 Ways to Make Your Wedding Day Extra F-U-N! When couples are in the process of planning their wedding day, words like “beautiful” and “special” typically come to mind. But if you personally want to have the kind of day that you, your wedding party and your guests will never forget, we think there’s another adjective that you should add to your list—FUN! Once you check out the 10 things that we recommend you do to make your wedding and reception super-enjoyable, you’ll see that (most of) the ideas are easy, affordable and, also things that will make you ask yourself, “Hmm…now why didn’t I think of that sooner?” because, no doubt about it, they are all ideas that will bring lots of fun and laughter to your day—from start to finish! Who said that cocktail hour had to happen after your ceremony? 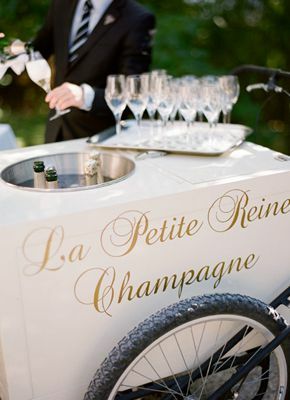 Just think of how excited your guests will be to be greeted at the beginning of your day with a glass of champagne or one of your signature drinks? 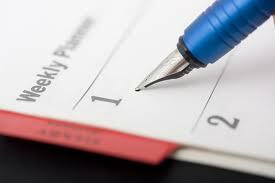 If you tell them that you’ll be having this ahead of time, it’s another way to ensure that they’ll arrive on time. 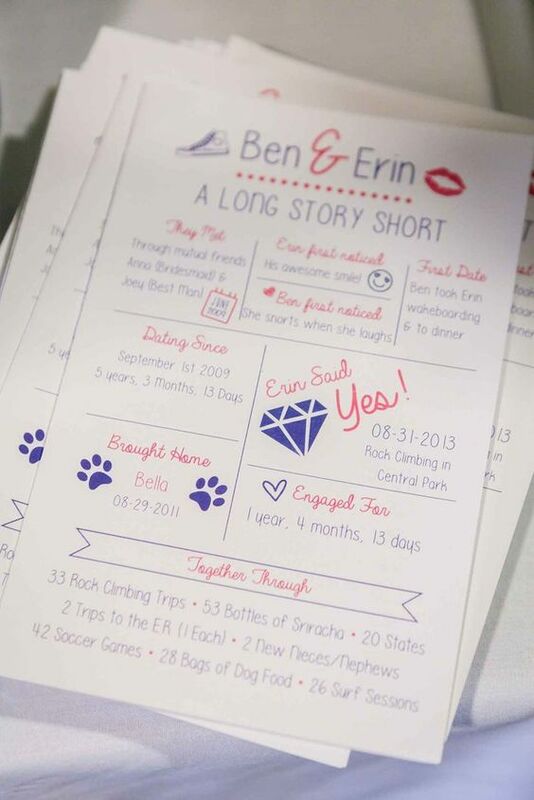 Wedding programs are what let everyone know how the ceremony is going to go. But if most of us were honest with ourselves, most of the ones we’ve seen may have been pretty to look at but, for the most part, they’ve also been B-O-R-I-N-G. Break out of that mold by getting creative with yours. Maybe talk about how the two of you met or share some fun facts about your relationship or even members of your wedding party. No one said that wedding programs had to be synonymous with yawning. Break out of that mold. A successful wedding lies in the details. That said, one mistake that some couples make is putting people together at their reception that don’t create the right kind of “chemistry”. 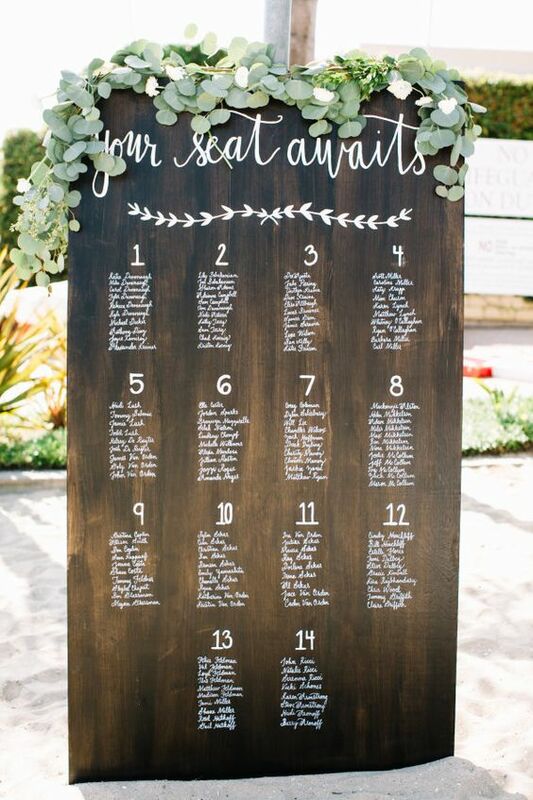 As you’re doing your own seating chart, think long and hard about who gets along and who has the kind of personality types that will gel well together. A trend that’s been around for a few years now is designing a lounge area in your cocktail hour and/or reception space. What’s cool about these is they’re a way for people to not feel like they have to sit at the dinner table or worse, stand up the entire time. They are some comfy sofas for them to hang around and talk on too. We all love kids and they actually can bring a lot of joy to weddings. But if you want your adult guests to get the most of out their reception, consider hiring a few babysitters to watch the kids in a room close by. Customize a kid-friendly menu and some activities too. That way, the children will end up having as much fun as their parents did! The music you play at your reception can make or break the energy that’s at it. 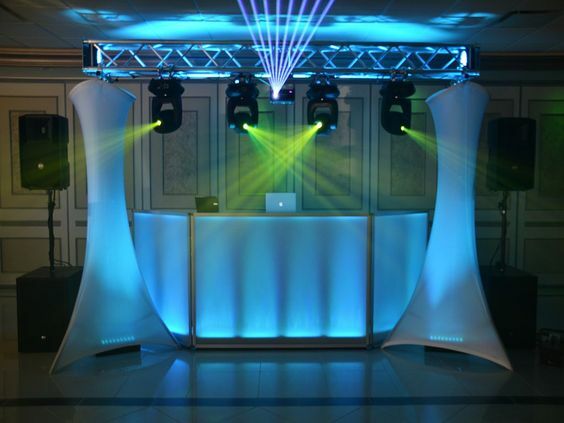 If you don’t want to be the only one on your dance floor, choose a DJ that you know your guests will enjoy. Another tip—ask if they can play a few songs from different eras too. That way, grandma and your little cousins can say they had a really great time. Another way to ensure more of your guests will want to dance is if you have some flip-flops available. After a couple of hours in heels, just about anyone is going to prefer to sit rather than get their groove on. Thanks to this lil’ addition, their feet can get a break and you can get more people on the floor. 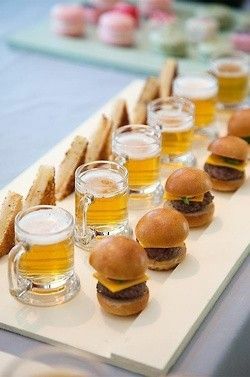 Food stations are pretty popular (so are food trucks, so maybe have a dessert or carnival-themed one outside of your reception venue). The way to take them up a notch is to create yours in a way to where they are interactive. Meaning, don’t have food that’s already “pre-made”. 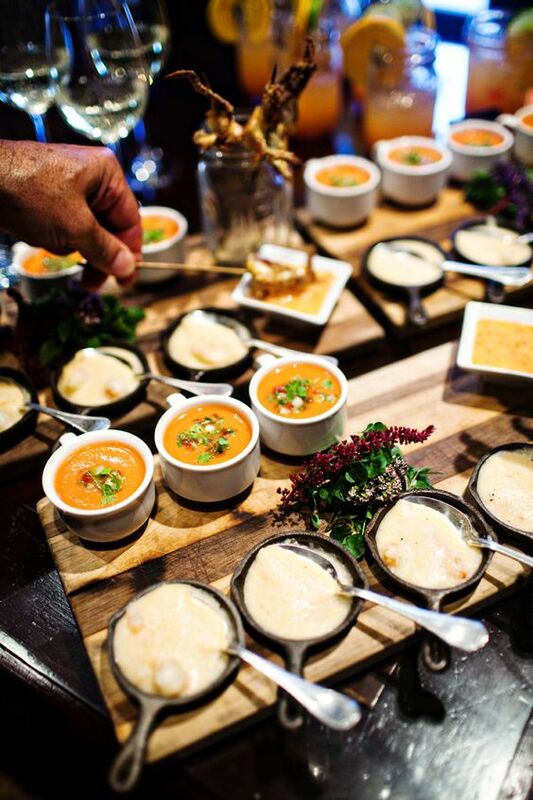 Instead, have the kind of stations where your guests can customize what they are eating whether it’s a grilled cheese station, a soup station or something else. A way for you to offer more variety for your guests is to come up with 4-5 smaller meal courses rather than one big main one. An example of this would be to serve a salad, an appetizer, a couple of you and yours’ childhood food favorites and then a dessert. Your guests will love all of the options and, if you plan (and budget) it right, you won’t spend more than you would with a main entrée. No matter how good your photographer is, they can only capture so much. Get even more angles/art perspectives of your wedding day by asking your guests to shoot some pics as well. They can either do it with their phones and email them to you for you to load up to your site later, or you can have some disposable cameras available at each table for them to use. 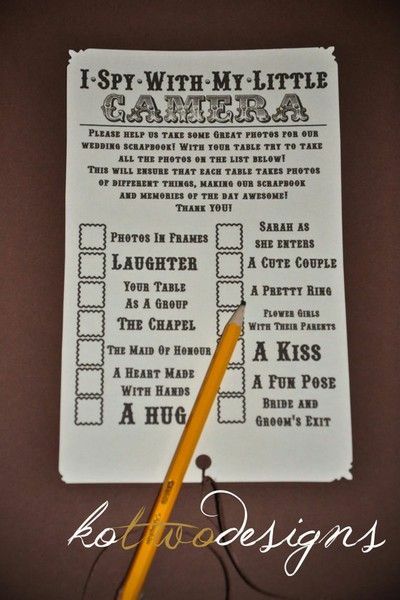 Trust us, they will have a BALL serving as “guest photographers” and you’ll have even more FUN looking at each and every pic!